What do three Chasers, two Beaters, one Keeper and one Seeker have to do with Machaneh? Quidditch, of course! Quidditch is the sport made up by J.K. Rowling in the wildly popular series Harry Potter. Today is Yom Harry Potter, and what better way to celebrate then by learning a new sport? Quidditch is played on “flying” broomsticks and is a mixture of dodgeball, tag, and flicker ball. Rho Muller, our resident Quidditch expert, who doubles as shekem lady, taught the sport, “Quidditch is the most rewarding sport that ever existed. It redefines sports as a whole. People who haven’t tried it are missing out!” Muller, plays for her Boston University team as a Beater. “The beater protects its team by throwing dodge balls at the other team”. The Chanichim are loving it! How often do they get an excuse to run around with broomsticks? It’s also a nice change from every day sports and encourages creative thinking. More updates on Yom Harry Potter to come. Tuesday marked the 17th day of the month of Tamuz, a fast day that commemorates the breaking through of the walls of the Old City of Jerusalem- three weeks prior to the destruction of the temple. Although most of the younger chanichim do not fast, they did not have the usual fun daily activities. Rather, the day was geared to an inspirational and spiritual program about what defines a hero. The day started off with davening, and then went to a thoughtful group discussion about recognizing the hero within ourselves. The chanichim engaged in meaningful debate about who they felt their personal heroes were and why. They then proceeded to write letters to themselves, or their parents defining why they felt they were heroes and how they could make a difference. After the activity and shiur everyone davened mincha, and then had an optional lunch for those who weren’t fasting. After lunch the chanichim had shaat menucha (rest time), and had the option to watch a movie in the gym or to do various arts and crafts in the melechet yad (art room). After a very meaningful Slow Shira (singing) on the basketball court, maariv was prayed and fasts were broken. The chanichim immediately jumped into their night activity- dodge ball in the gym. Pictures are online. Today, the Chanichim will depart for the two day Machaneh Chutz (camping trip) . The Machaneh Chutz, a long standing tradition in camp, is a real chance for the campers to experience nature and enjoy each others company in a more relaxed setting. The chanichim will have a brief hike to the Chutz. They will get to participate in swimming both in the lake and in the fabulous waterpark the Evergreen Campsite offers! The Chanichim will have the oportunity to play sports and just hang out in the great outdoors. For a lot of these kids it will be their first time to have this type of an outdoor experience, and they are all really looking forward to it! Aside from the general fun associated with the Chutz, there is an educational value to it as well. When asked about how he plans to connect the Chutz to this month’s theme Moshevet Cheirut, Sgan Sammy Shaechter explained that it is part of the storyline that the kids are experiencing. Moshe asked Pharaoh to, “Let his people go” and was told that now the Jews would not even receive the bricks they needed to build with, instead they would have to make them from scratch! On a much much smaller scale, the kids were told that they not only would have to assist in making their own food, they would have to gather the firewood as well. Additionally, the chanichim are being taken out of their comfortable beds and being forced to sleep in sleeping bags under the stars. The real outdoor experience will include delicious S’more making and singing by the campfire! It should be a lot of fun for everybody! Avodah also will leave on their own two day Chutz as well. Pictures will be loaded tonight from day one of both Chutzes, and as usual stay tuned for the Moshava Minute. The first Shabbat came in and went out with song. The kids snaked out of Mifkad and straight into davening where echoes of Lecha Dodi could be heard all the way to Highway P! The energetic Chanichim joined Avodah and guests to welcome in Shabbat. Shabbat day was filled with tons of Ruach (spirit). Starting with davening and following kiddush the chanichim made their way over to the Chadar Ochel for lunch, complete with more singing and of course, Moshava trivia. After lunch everyone davened mincha and then the chanichim had parsha shiur. After Sha’at Menucha (rest time) the chanichim came back to the chadar ochel for “nosh” – afternoon snack. The chanichim then went to mifkad and snif, a Shabbat afternoon activity led by Machal. At seudah shlishit the chanichim experienced one of the most moving parts of shabbat, slow shira (singing). Both the new chanichim and the returning ones were awestruck by the power and intensity reverberating throughout the room. After seudah shlishit, the chanichim davened Maariv, and then Sgan Sammy Shaechter led Havdalah accomponied by Benji Richter on guitar. But the singing didn’t stop there! Immediately following Havdalah the Melava Malka began. The Melava Malka was in honor of all the birthdays that weekend, including Sammy Shaechters. There was great music, yummy ice cream, and everyone had a great time dancing and singing along. Pictures of the Melava Malka and Mifkad are on the website, be sure to check it out.  The Moshava Wild Rose Kollel was started in 1991 by then camp director Rabbi Moshe Kushner who was looking to raise the level of Torah and ruach at camp. The Kollel consisted of five members, each with a minimum of two years post high school learning and Rabbi Ari Katz from Yeshivat Kerem B’Yavneh was its first Rosh Kollel. The goal was to provide the chanichim with a higher level of shiurim than was previously possible and create an opportunity for tzevet to learn directly with Kollel members. Over the last twenty years the Moshava Kollel has met and exceeded those initial goals and expectations. Many distinguished Rabbis have served as Rosh Kollel including Rabbi Dovid Hirsch, currently Rosh Yeshiva at Yeshiva University and Rabbi Harvey Well, the past Superintendent of Schools for the Associated Talmud Torahs of Chicago and former Rabbi of Congregation Or Torah, in Skokie. Rabbi Menachem Linzer, the current principal of Hillel Torah North Suburban Day School of Skokie, was himself a young member of the Kollel. This year the Moshava Kollel again has five Kollel members who have each spent at least one year learning in a post high school yeshiva in Israel (two at Yeshivat Kerem B’Yavneh, three at Yeshivat Hakotel). These boys are involved in virtually every aspect of machaneh. In addition to their three sedarim a day, they teach all the chanichim (including those on the “Hill”), and learn in small groups with Avodah and give divrei Torah at daily minyanim. The Kollel runs a lively Friday Night Tish for all tzevet, which is a true highlight of the Moshava Shabbat experience. Members help prepare chanichim for their Bar Mitzvot, are available for chavrutot and even (occasionally) get on the basketball court with the chanichim. When the machaneh goes on the chutz, the Kollel goes along bringing Torah and ruach to the camp site. The Machal tochnit has gotten off to an exciting start. On Tuesday we hiked five miles to Wild Rose, where we met and interacted with the local residents, engaging them in thoughtful and friendly conversations about Israel. To the surprise of the chanichim, many of the Wild Rose locals have actually visited Israel and voiced their support for the Jewish state and our camp. The chanichim recorded their interviews with the residents which will then be put together into a newscast. Upon returning to camp everyone cooled off by jumping into the lake. Tuesday night the chanichim were divided into groups then given duck tape and cardboard and instructed to build cardboard canoes that would be buoyant enough to race through the swimming pool. After completing their boats, the chanichim brought them down to the pool where a representative from each team navigated them in a thrilling race that left many boats shipwrecked. Only “Jerome,” the boat driven by Yosef Schrader, survived and was named the winner. Wednesday saw our first full day in Machaneh. After breakfast and shiur, the chanichim participated in Kosher Gufani, or exercise, led by their madrichim; some ran or did aerobics, while others did Tai Chi. The chanichim then played basketball, volleyball and wiffle ball on Machal’s sports fields. In the afternoon, the chanichim got Shekem and went swimming. The night tochnit saw a thrilling game of glow in the dark dodgeball. Machal is off to a Fabulous, action packed start. Soon to come, Machal Mondays on the Moshava Minute! Hakshivu Na Hakshivu Na, Kol HaMachaneh! (All of camp, listen up!) Rachel Lafer is on campus! Rachel, a yoga expert, taught a girls only audience how to do a myriad of different poses as well as relaxation techniques. Rachel, certified in yoga and Radiant Child Yoga, from Chicago, Illinois, explained her reasoning for coming to machaneh (camp), “I truly believe yoga benefits everyone. On the surface level it’s an amazing work out and a healthy stretch. But on a deeper level, when one starts young, [he or she] acquire[s] the tools to help manage stress and pressure.” Having her brother Evan and three nephews, Morrie, Barry and Aili, all in camp is also an added bonus. The girls enjoyed the yoga as well. One camper exclaimed, “She was awesome! Can we do this every day?” Today Machal gets the opportunity to spend some one on one time with Rachel. Pictures to follow. Last night, the Chanichim had to take pictures of themselves in various locations throughout camp and submit them to win the grand prize, a mega Melava Malka (post Shabbat celebration) and ice cream party. They handed over their memory cards for us to take a look. The picture scavenger hunt stems from Moshe’s confliction about which direction to go in life. Should he become a slave with the rest of the Jewish people or should he remain the Prince of Egypt? In order to make his grand decision, Moshe opened his eyes to see the bigger picture, as well as the seemingly miniscule detail he portrayed in that picture. The Chanichim practiced this as well, when they were told to place themselves in the “larger picture”. Before they began this adventure they were shown a short film from the Lion King when Rafiki tells Simba (changed to Moshe) to “look harder”. The idea being to put yourselves into the picture, because things aren’t always as they seem. These pictures and more are featured in our online gallery under ‘picture scavenger hunt,’ check them out! ‘Let’s Make a Deal’- an all time favorite at Moshava- gives chanichim the unique opportunity to show off special talents, dance moves, and wacky costumes. Based on costumes, chanichim are called up to stage to compete against each other to win prizes hidden under boxes. With the summer off to such a great start were looking forward to many more exciting night tochniot and thrilling skits. Just a reminder, pictures are updated daily along with the Moshava Minute! Yesterday the theme of first session was announced. For this month’s theme Moshava chose the concept of Moshevet Cherut, the path to freedom. This month will take the chanichim through the process of going from slaves in Egypt to becoming Am Yisrael (The nation of Israel). The chanichim acclimated to their new lifestyle through three separate activities. The first was the assigning of Egyptian Kvutza (bunks) names, which formally deemed them true Egyptians. The second, was building and painting pyramids. The third was the actual practice of dressing and walking like an Egyptian to fully solidify their new Egyptian lifestyles. To access the Kvutza (bunks) lists, click on Pictures and bunk notes, log in, and then click on Newsletter. Remember to check back daily for pictures, updates and the Moshava Minute.